Can we talk about the economic devastation of American cities and black communities before someone else is killed? As I was glued to Twitter on Monday night watching news of the uprisings in Baltimore roll in, I knew I would spend the next morning giving myself a crash course in the city’s economic ills. As with the protests in Ferguson, the protesters’ immediate grievances focused on police brutality and the loss of black lives at the hands of those supposedly there to protect them. But, in both instances, the community’s anger also stemmed from years of economic segregation and neglect. Ferguson’s mass protests in the wake of Michael Brown’s killing sparked a wide-ranging conversation about housing policy and racial segregation, as well as the ways in which the local court systems were funded by preying on the city’s poorest. Already, Freddie Gray’s death in Baltimore has us talking about concentrated poverty, income, and racial inequality, and a dearth of jobs—let alone jobs that pay a living wage. These are important conversations and they deserve a national dialogue. But these phenomena aren’t limited to Ferguson and Baltimore. They’re not new and they’re happening in cities across America. But we don’t talk about them until a black man is killed by a police officer—and a mass upheaval, usually including some property destruction, follows. America’s cities are profoundly segregated by race, even today. The average city-dwelling white person lives in a neighborhood that is 75 percent white. The average black person lives in a neighborhood that is 45 percent black. Baltimore, and the St. Louis area where Ferguson is located, both rank among some of the worst offenders (St. Louis ranks ninth; Baltimore clocks in at 16th), but they are not the worst. That award goes to Detroit and Milwaukee. Segregation in American cities is a legacy of racist government housing policy—both on a city and state level (segregation ordinances) and federally (redlining instituted by the New Deal mortgage programs like the Federal Housing Association and Home Owners’ Loan Corporation). These policies shaped St. Louis as well as Baltimore, but they existed across the country. Ta-Nehisi Coates has extensively chronicled the way these policies denied black families in Chicago any chance to build wealth, but they were the norm practically everywhere. The lack of access to traditional mortgages continues today and is part of why black communities were targeted by subprime lenders in the lead up to the housing crisis, which then devastated black wealth when the market crashed. Detroit and Milwaukee also have some of the lowest rates of black male employment and have both seen the fastest declines since the 1970s. In Baltimore, 57.5 percent of black men of working age were employed as of 2010; in St. Louis, 51.3 percent were. But in Milwaukee, Detroit, Cleveland, Chicago, and Buffalo, less than half of black men had a job. And across the country, black unemployment has been in double digits for most of the last half-century and is still more than double that of white unemployment today. At the same time, concentrated poverty has been on the rise in American cities. 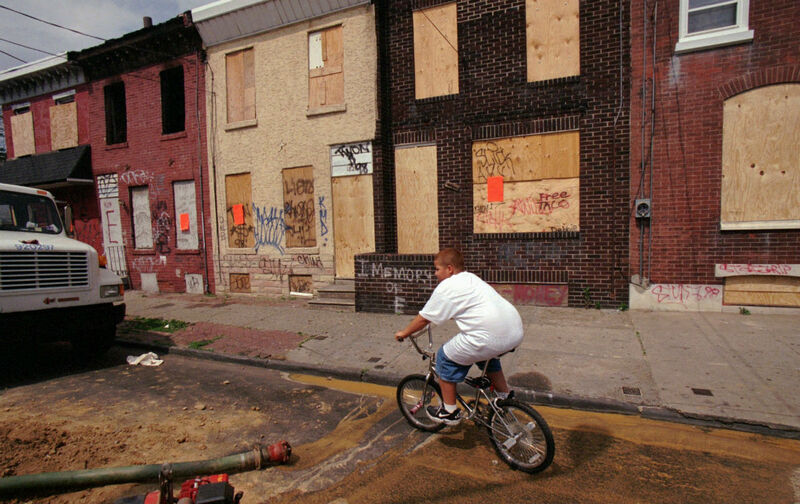 Baltimore has a 24 percent poverty rate, and the number of high-poverty neighborhoods increased in the city from 38 in 1970 to 55 in 2010. Over that same time period, the number of high-poverty neighborhoods in all cities tripled and the number of people living in them doubled. Black people make up the largest share of those living in extremely poor neighborhoods. The residents of Ferguson and Baltimore—and others that have seen demonstrations and protests against racial mistreatment—have demanded to be heard, and they deserve to be heard. It’s important that we listen and that we take time to talk about how we got into this situation—one in which whole communities have so few opportunities. But it’s also worth remembering that there are countless Fergusons and Baltimores across the country. Is it possible to talk about them before someone dies?